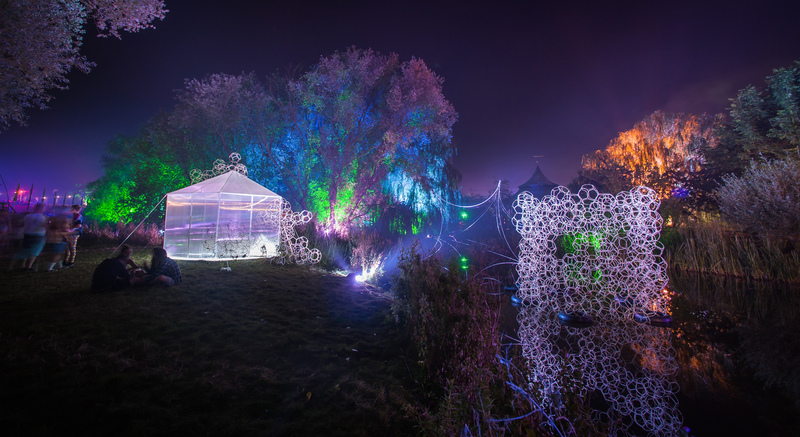 The Secret Garden Party is an annual independent arts and music festival which takes place in Abbots Ripton near Huntingdon in England. 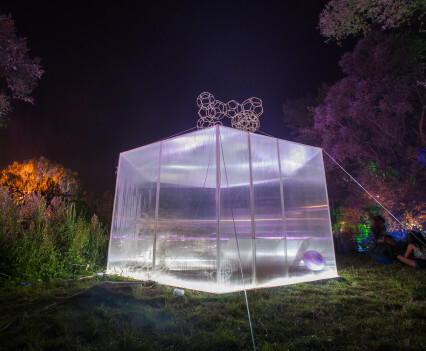 This location is on part of the grounds of a beautiful Georgian farm house and has its own lake, river and landscaped gardens. 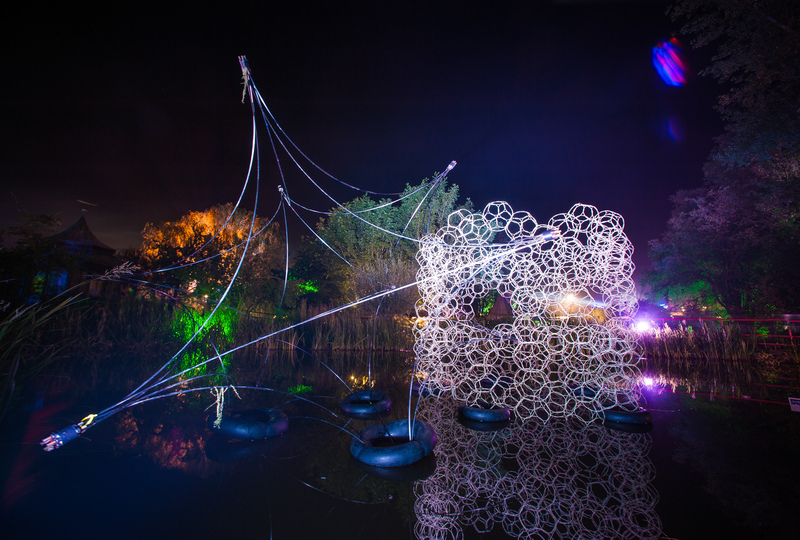 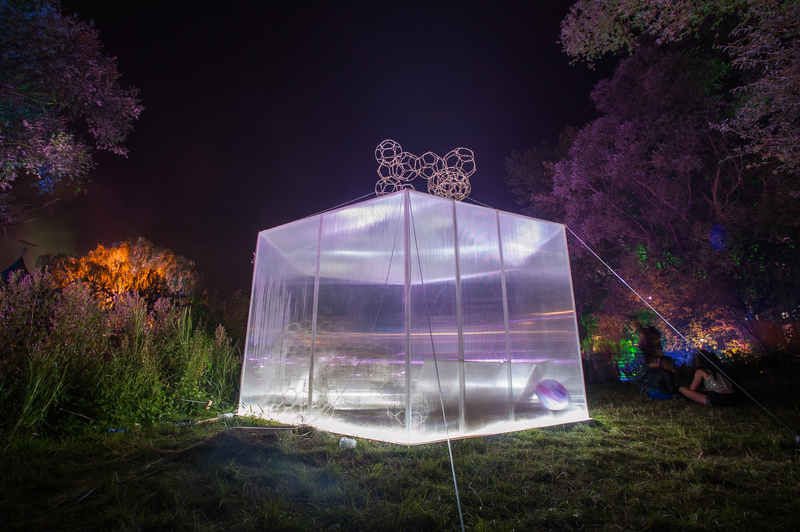 We joined the gardeners at the Secret Garden Party 2014 and built a lakeside laboratory with floating architecture where we ran workshops for four days. 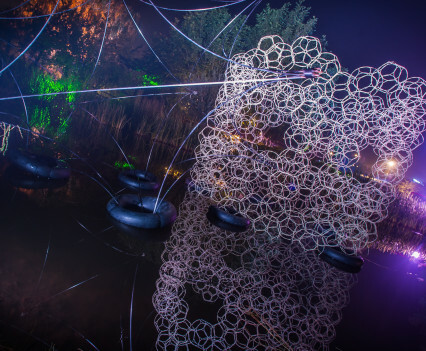 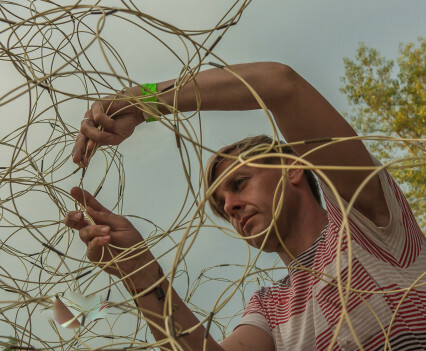 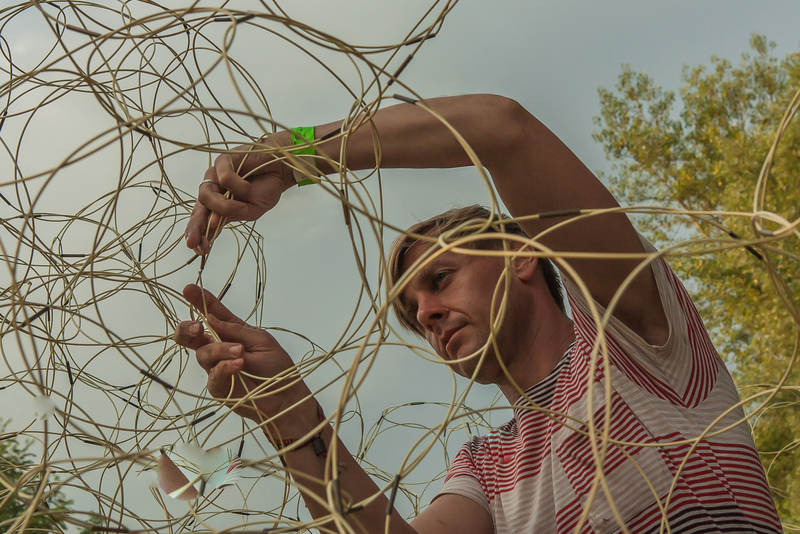 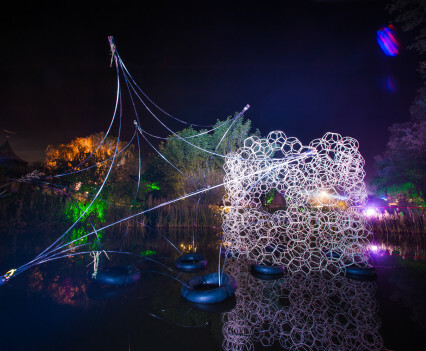 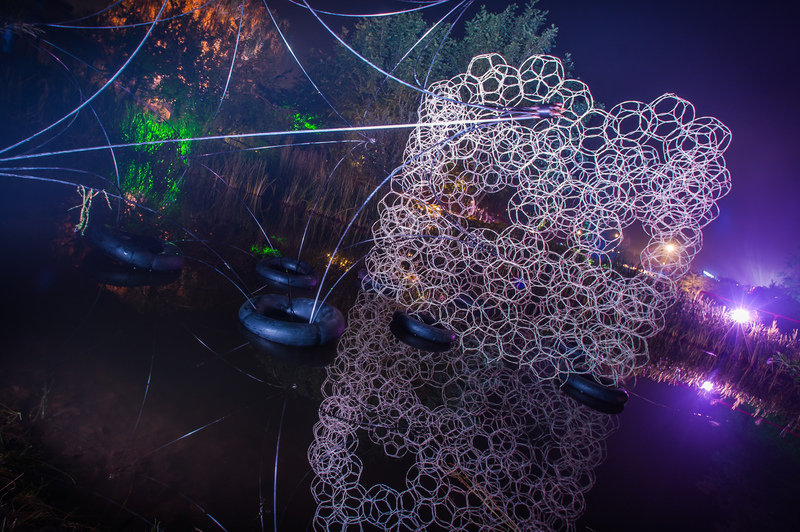 Festival goers were invited to construct a huge emergent floating structure that explored the notion of growing architecture. 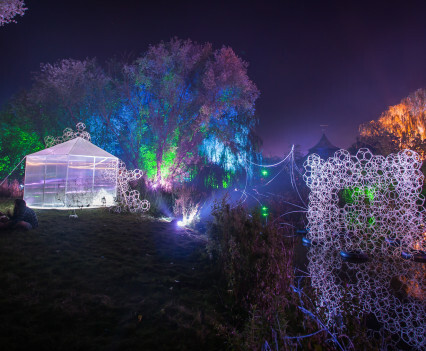 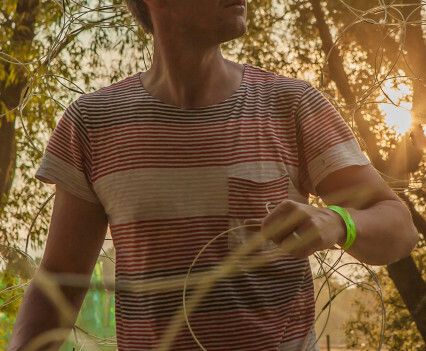 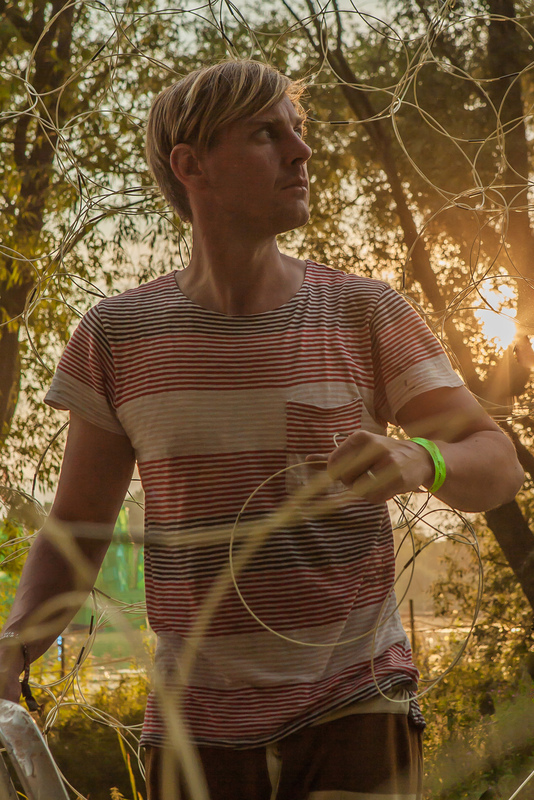 Share the post "Secret Garden Party"